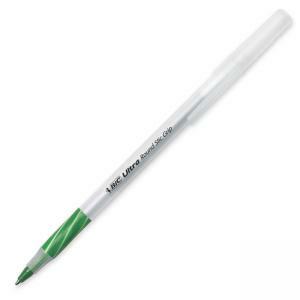 Stick pen offers a contoured grip and a lightweight, round barrel for comfort. Tough, durable point for smooth writing. Tip indicates ink colour. Nonrefillable.